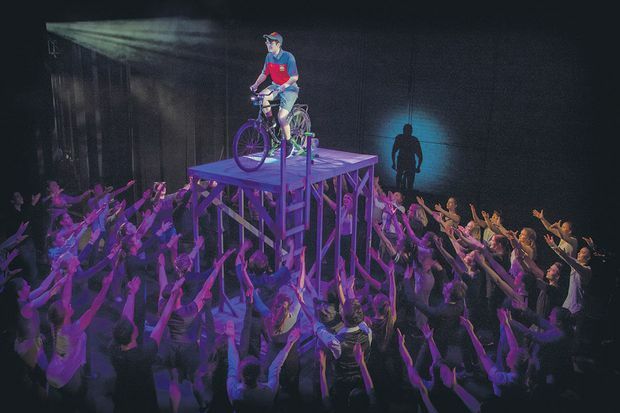 A scene from Broadway Lights, one of the recent shows presented by the Canadian College of Performing Arts. For about 75 fortunate students each year, the Canadian College of Performing Arts (CCPA) in Victoria, British Columbia, provides equal exposure to acting, voice and dance through individualized curriculums. Along with rigorous studies, students perform in public events with professionals that have included the Victoria Symphony, David Foster and Josh Groban. Many graduates have performed on Broadway and been featured in major productions that include the Stratford and Shaw festivals, Jesus Christ Superstar, Miss Saigon and Mama Mia. The college’s mission is preparing students to be motivated, self-employed businesses as well as inspired, confident artists who illuminate the human condition, he adds.